It’s been too long keep talking about the wow factor in VR/AR, and we already started talking about MR (Mixed Reality) and XR. What most important for these technologies to move to next level is to convert all these wow and compelling momentum into useful, live and business related development to make people’s day-to-day actions easier, unlike keep doing researches and demos. The biggest need of the hour for any augmented reality and Virtual reality apps are the effective interaction and Input/output System. Already there are some Industry leads’ that started giving importance to this concern. 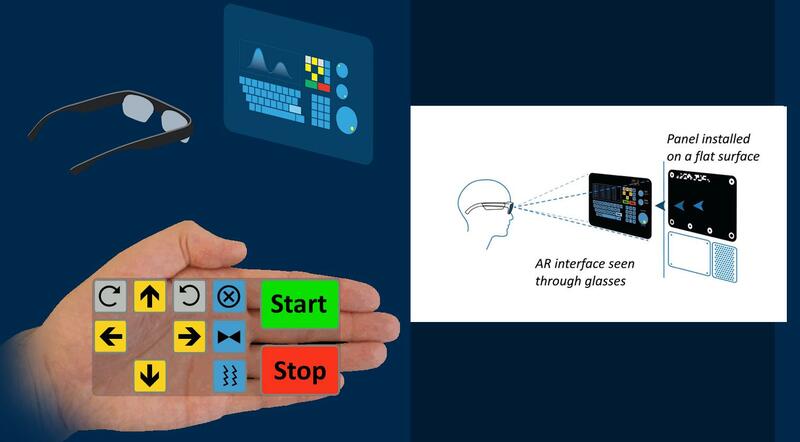 This blog shortly lists those innovative technologies that are going to be the future of interactive I/O system for AR, VR and MR.
Augmented Reality and Smart glasses like Hololens and Vuzix are making it easy the way we visualize, control and monitor digital information of automobiles and electronics. 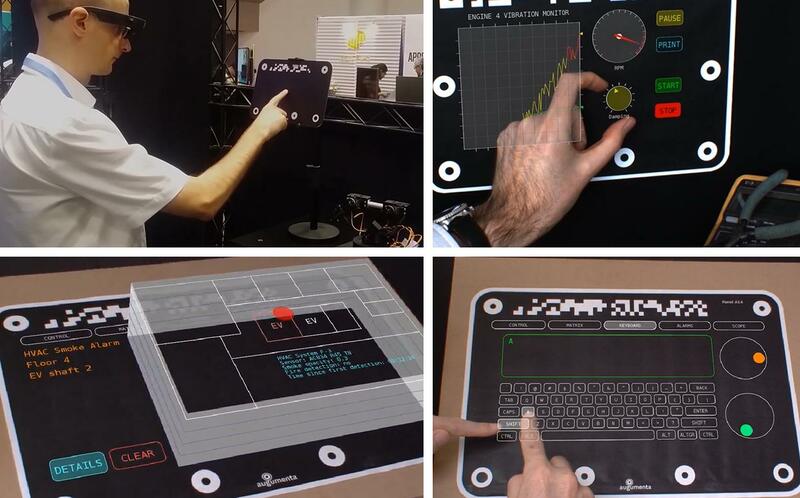 Augumenta is a platform that enables developers to create interactive world space I/O interaction for AR and MR.
Be it a Hardware-based and touch panel interfaces for medical equipment or automobile machinery devices; Augumenta’s SDK helps in making a natural way of Interacting with the related information. You may change, control and navigate on a flat billboard without any hard buttons or touch controllers to put more human energy. 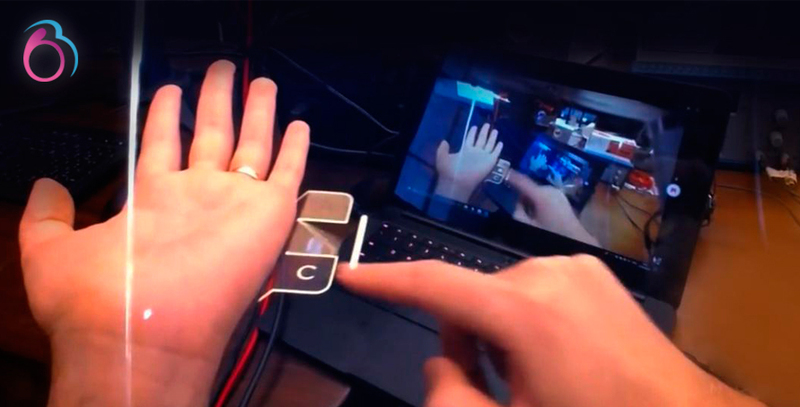 Human hand is detected and required interface is displayed on the palm of the hand. This development also integrates IoT devices. Virtual reality and Mixed reality apps and games were lacking the natural way of physical interaction with the device and app. We were using Joysticks and Big controllers for the head-mounted devices that are available currently in the market. 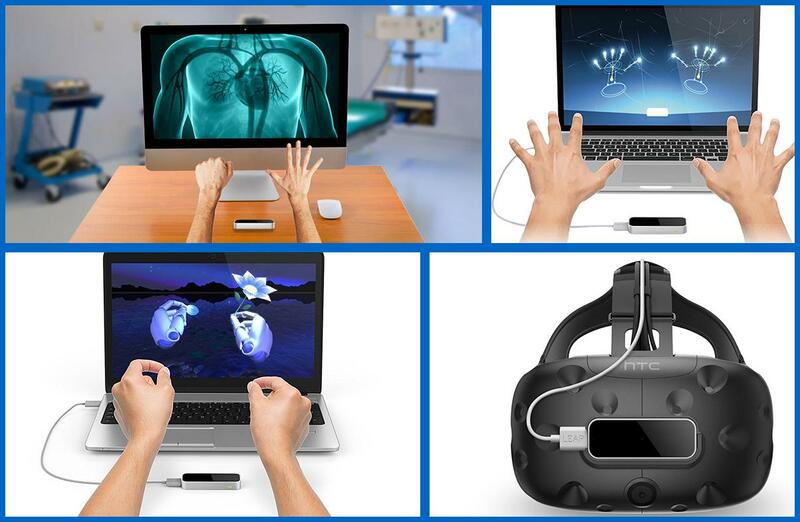 Leap motion is a tiny device that is mounted in front of VR/MR devices and systems. You can use your two hands to naturally pick, hold, throw, make objects bigger and move from one place to other. Similarly, we can select the user interface screens, buttons and scrolls. 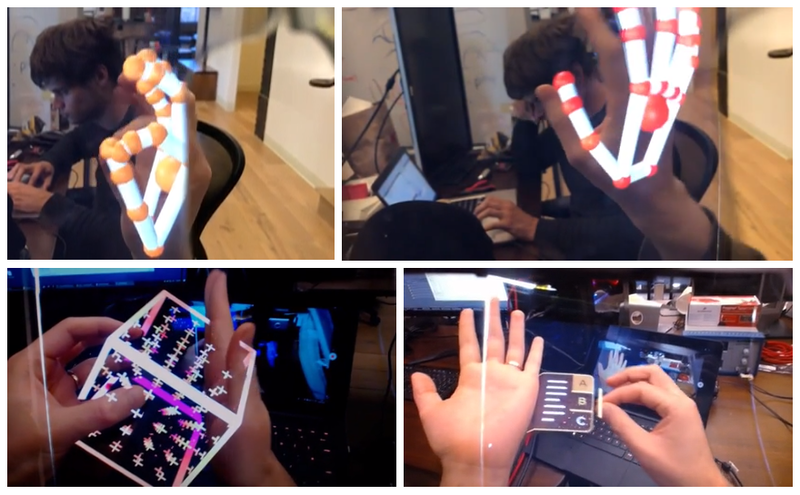 Project North Star is the on-going development in process for human-computer interfaces by Leap Motion. 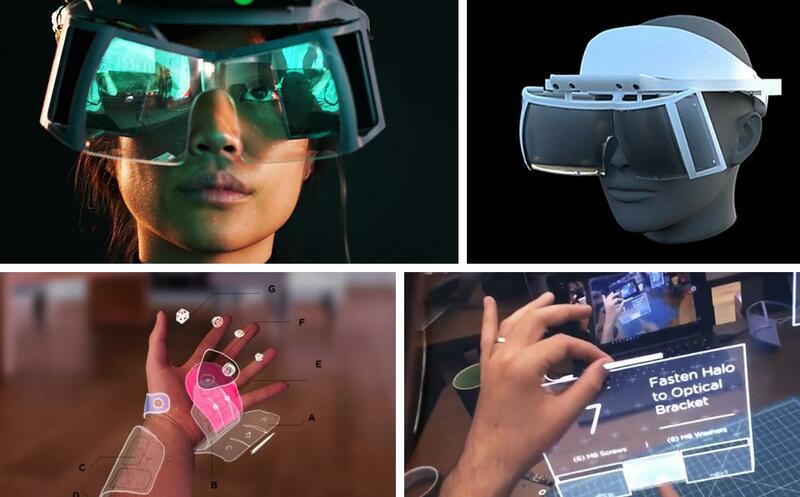 North Star is an AR platform that includes a head-mounted AR device and open-source SDK using which developers leverage and bring innovative yet natural way of interacting with apps and devices. 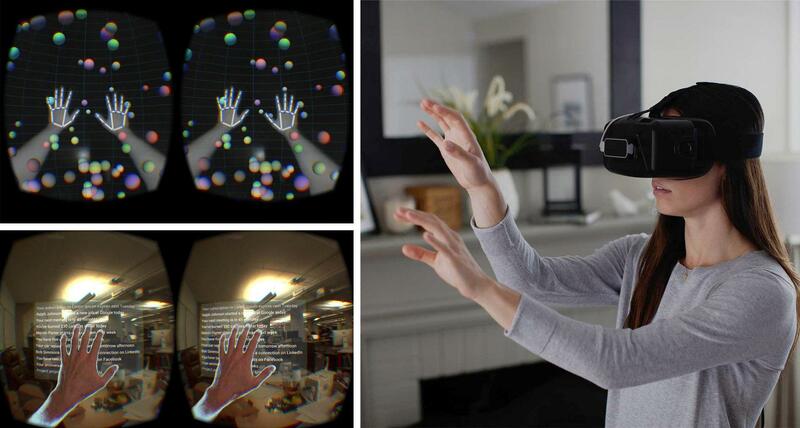 The company Leap motion recently in an Expo has shown the demo of the head-mounted device and the Project North Star. It looks so natural. Beside the user hand’s palm, we get to see the UI interface with totally a super cool wave to click kind of I/O using finger and hand gestures.